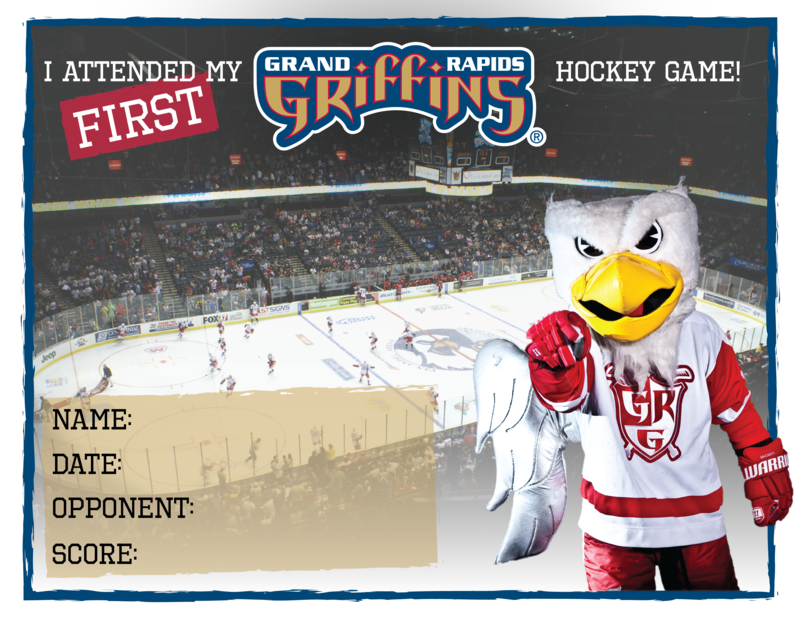 The Grand Rapids Griffins began play in 1996 as a member of the International Hockey League, operating for three seasons as an independent club before starting a three-year affiliation with the Ottawa Senators in 1999. The Griffins joined the American Hockey League in 2001 and made the first subtle logo change in 2002, removing green and emphasizing red to celebrate a new affiliation with the Detroit Red Wings. The franchise won the AHL's Calder Cup in 2013 and marked its first championship with a special logo used throughout the 2013-14 season. Grand Rapids won its second Calder Cup in 2017. A new primary logo and color scheme were introduced in 2015 to coincide with the franchise's 20th season, which also saw the use of an anniversary logo that included the original Griffin. All logos are property of the Grand Rapids Griffins and may not be reproduced or reused without permission.